On April 1st, one of Google’s many (many, many, many) pranks included having a slew of 150 Pokémon infiltrate Google Maps. While some Google Map navigators spent a few minutes searching around their city to catch a Pokémon or two, others spent hours taking that “Gotta catch ’em all” mantra very seriously. And their efforts weren’t for naught. 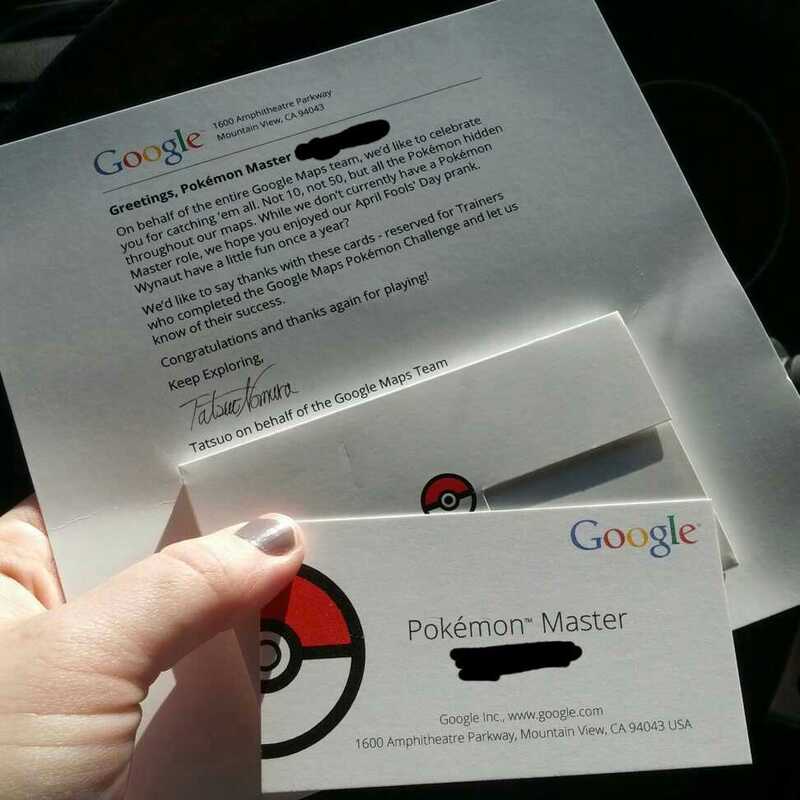 Two-and-a-half months later, as promised, Google has sent a bit of appreciation the Pokémon Masters’ way: A letter thanking them for their service and providing them with official Pokémon Master business cards. That’s almost as cool as a LEGO business card.